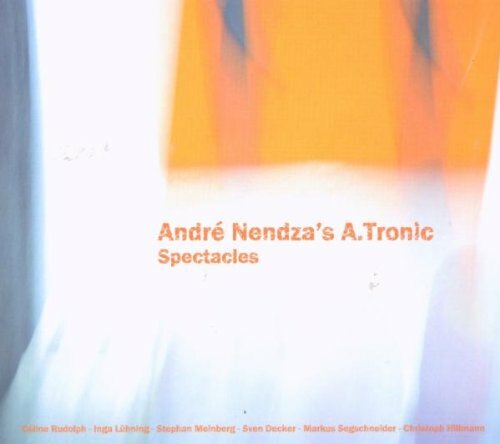 In the year 2002 the first CD of André Nendza´s electro-acoustic ensemble „A.tronic“ titled „Lichtblau“ is released. Critics and audiences are equally enthusiastic about it. The radio station „Deutschlandfunk“ for example ranks „Lichtblau“ as one of the most important CDs of the year 2002. Remarkable and eventful concerts are following with guest musicians like Charlie Mariano, Ramesh Shotham and Gabriele Hasler. In 2005 the group records four new titles with Dave Liebman, who had performed in „Lichtblau“ already. These titles are later added to the album „Spectacles“ as a bonus-CD. But in spite of these developments André Nendza is not really sure about the direction of a new programme. With its suite-like character „Lichtblau“ is almost regarded as a cult album by some but this narrows the horizons for new ideas. Nendza makes his escape „around the corner“ and concentrates on his various other projects. Nevertheless, A.tronic is always on the bassist´s mind. But how can you look at things in a different way, rephrase and break the sound of the project? The use of a guitar soon makes clear that the modal character, which had shaped most of „Lichtblau“, has to be harmoniously broadened and opened. Then, by pure chance, Nendza´s interest is focused on the possibility of singing lyrics, which was just suggested on the debut CD. A great number of songs arise playfully in this creative phase, at first based on the poetry of different authors. And so, after six years, A.tronic gets a changed, almost poplike face. For the moment Nendza wants to publish the compositions with the original poems. But soon he is confronted with copyright problems. In his effort not to waste months and months in discussions with several publishers and heirs, he remembers his beginnings. The new compositions are brilliantly interpreted by even two extraordinary singers, Céline Rudolph and Inga Lühning. Also the line-up has changed a bit. 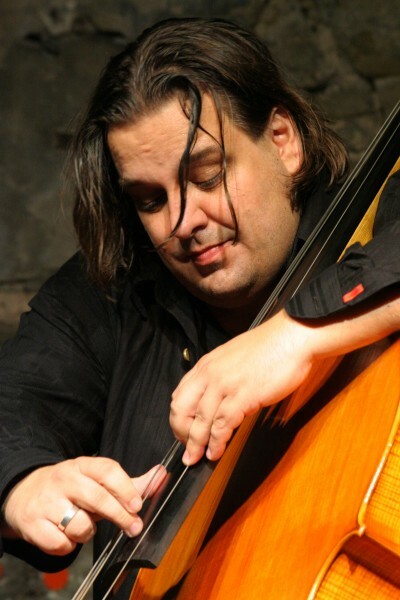 The rhythm group is supported by guitarist Markus Segschneider, a versatile experienced musician. And Sven Decker is playing tenor saxophone and clarinets. And so, also in a musical way, many things get moving. 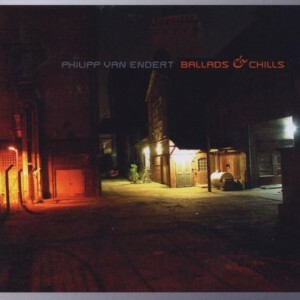 Although the joy in rhythmical diversity continues, the form of the tracks is more compact. The improvisations are more integrated in the pieces. And the electronics are applied in a rather transparent way, but they are almost always present in the sound arrangement. For André Nendza „Spectacles“ is new territory as well as „back to the roots“. According to his often quoted motto „welcome in between“ the bassist and composer expands once more his multi-stylistic playground. The listener awaits a diverse sound experience with many surprises.